This is the main bit of the body finished. 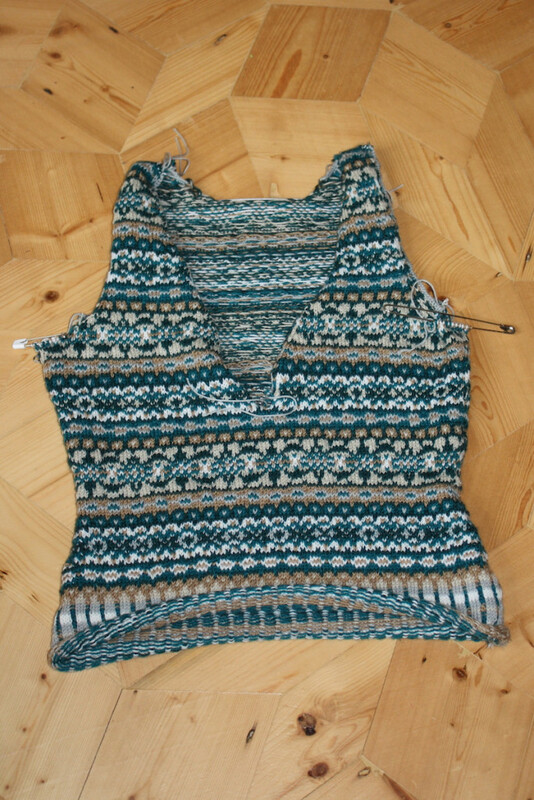 It is knit in the round and has some steeks – where you knit some extra stitches in so you can cut through them later to make armholes and stuff like that. 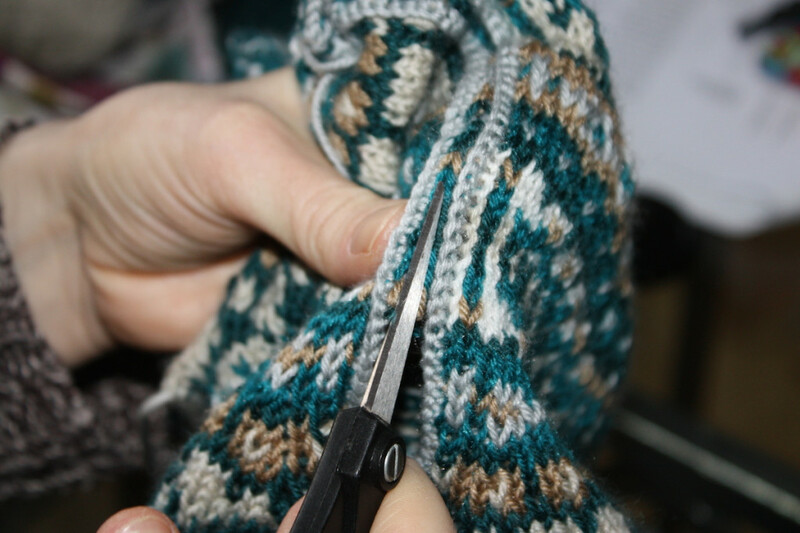 I crocheted over the edges of the steeks to reinforce it before cutting – the grey lines are the crochet. 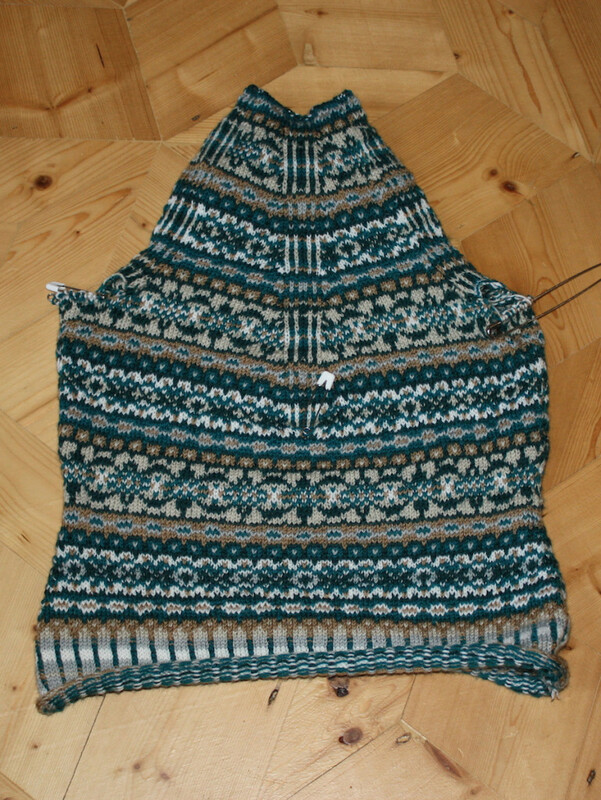 This is the vest after the steeks have been cut. And this is it after doing the edgings and generally tidying up ends and things. 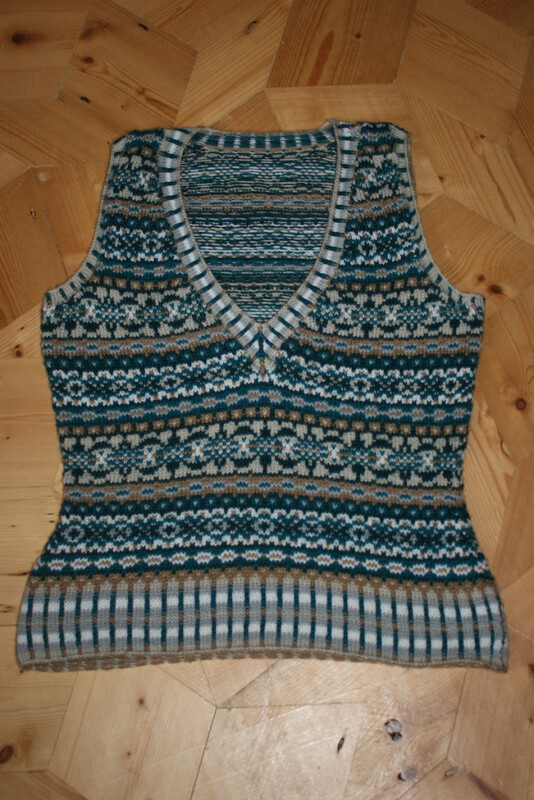 The pattern if you are interested is Ivy League Vest by Eunny Jang and the yarn is Cascade Heritage in some nice colours. It’s quite pretty but next year I am getting a flu jab. 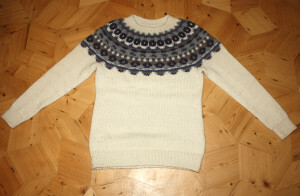 This entry was posted in Knitting and tagged Fair Isle, High speed knitting, In the round. Bookmark the permalink. The vest looks great and no doubt helped to keep you sane. The Smalls were very good and we had an enjoyable time with them. Hope you both are feeling a lot better and 2015 is good to you all.